Siberian Huskies are affectionate, playful and very active and would make an ideal pet for any keen jogger or hiker. Siberian Husky puppies will grow from 20″ to 23″ (51 to 60cm) tall and can weigh between 35 to 60 pounds (16 to 27kg). You will find that our Siberian Husky puppies come in a variety of colours including, black, white, tan, grey, red brown and sable. Eye colours may be ice blue, brown, parti-colour or even one blue and one brown. The breed moults heavily twice a year, and more vigorous grooming is needed but on average brushing once a week should be fine. 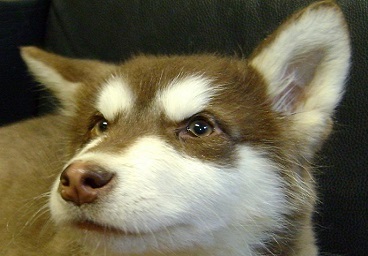 Siberian Husky puppies will not adapt well to apartment life, may adapt to town life but is ideal for the countryside. They need a large garden that has very secure fencing as they can jump, chew through and dig under most fences. Adults need on average at least two long walks a day, more if possible. Husky puppies get on well with other dogs, but will take on any challenge that may arise. They usually will accept cats if they are brought up from a young age around them but should never truly be trusted with other animals or livestock. 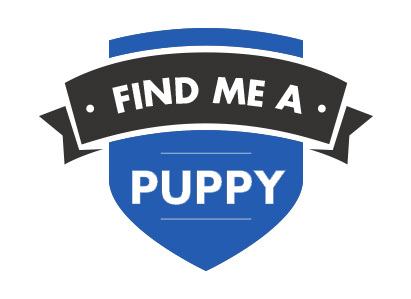 All Dogs4Us Husky puppies come with a six month guarantee and are temporary vaccinated, wormed and microchipped for identification. Please call us prior to visiting should you be interested in buying a Husky puppy, so we can check availability. To find out more about Huskies and to check availability contact us at Dogs4Us. Take a look at some of the Dogs4Us Siberian Husky in their forever homes and don't forget to upload your Dogs4Us Siberian Husky snaps to join our family galleries.